Queenstown is a great place for a multitude of activities whether you are looking for an adrenalin rush or total relaxation. I am available to give you guidance in choosing activities best suited to your interests and ability. If you wish, I can make advance bookings and help you make changes easily while you are on holiday. Queenstown is unique in theThere are so many things to see and do in and around Queenstown and of course some activities depend on the season. 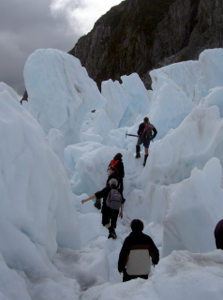 This makes Queenstown quite unique as you can enjoy different activities every time you visit. The following are recommended as the best of the best! Catch you our Salmon, Rainbow & Brown Trout aboard "Chinook"
Enjoy off road 4WD adventure in "Lord of the Rings" country. Let us know if you think there’s something great we’ve missed - as well as if you disagree or have had a bad experience!